Our Physiotherapists provide expert hands-on treatment for sports injuries, neck problems, back pain, joints, muscle injuries, post-operative recovery, chronic pain and more. Our Clinical Pilates, Reformer & Mat Classes can help get you the best results for a fast recovery​. ​We use Therapeutic exercise for injury prevention and management of specific conditions. 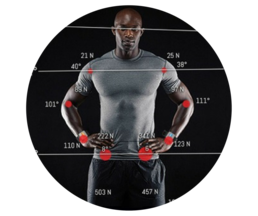 Our state-of-the-art movement analysis systems allow us to collect data in real-time which allows live feedback of an individual’s joint forces, power, range of motion and imbalances. 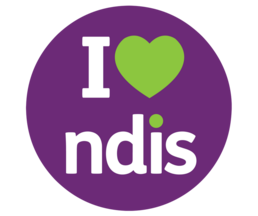 We're fully equipped to provide physiotherapy services & exercise rehabilitation programs for people with disability under the National Disability Insurance Scheme. What type of pain or injury are you suffering from? We treat people of all ages who need help with all kinds of injuries and pain. Whiplash and other vehicle injuries. ​​We use a range of advanced physiotherapy techniques to get results you can feel from your very first appointment. They’re designed to relieve your pain, improve movement, speed up your recovery and build your fitness and strength. ​Depending on individual patient needs, we often combine physio with massage, Pilates and other exercise programs to achieve the very best possible results. When treating you, we draw on vast experience working in local and international physio practices and hospitals. We also keep up-to-date with the world’s latest, most effective physiotherapy techniques and research. 1. We'll identify what's going on and what the source of your problem is. Expert hands-on physio treatment, therapeutic exercise and stretches. No machines, no time wasting and no double handling. At your first physio appointment we'll explain exactly how we expect you to progress and improve and what goals we expect to achieve for you.